Evidence-based healthy worksite initiatives have been shown to reduce costs associated with health care, absenteeism and presenteeism. In addition, they have been linked to increased productivity as healthy employees have been shown to be more productive (HealthyAZworksites.org). 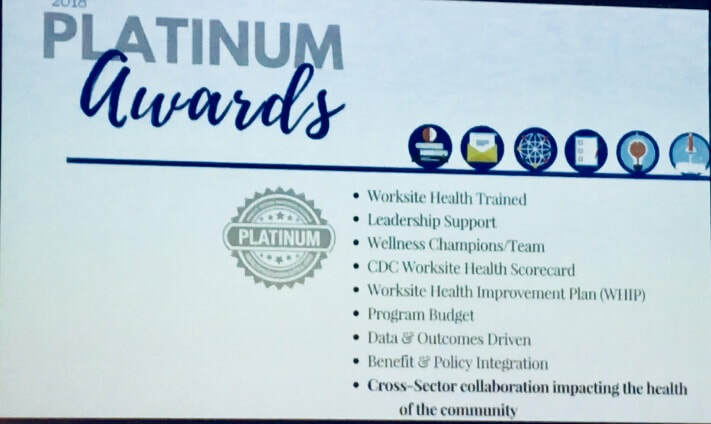 Core Purpose Consulting Designed the Arizona Worksite Toolkit for all schools and has earned a Gold and a Platinum Award at Dr. Lineberry and Dr. Millers school. We will help guide your organization and The Healthy Arizona Worksites Program, which provides tools, information, technical assistance, and resources to design, implement, and evaluate healthy worksite initiatives throughout your state to achieve the level your organization wishes to achieve.